Access to electronic health information and communication is no longer a future anticipation of patients but a current expectation. 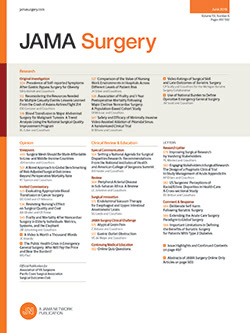 In this issue, Grazi breaks new ground by reporting his observations of electronic communications to surgeons via a European Web site written in a non-English language (Italian), related specifically to a non–primary care topic, surgical hepatopancreatobiliary disease, and in which the physician recipients had no prior clinical relationship with the patients. Almost all reports to date in the scientific and lay press about e-mail and Web messaging between patients and providers have focused on primary care in the United States and on communication written in English.